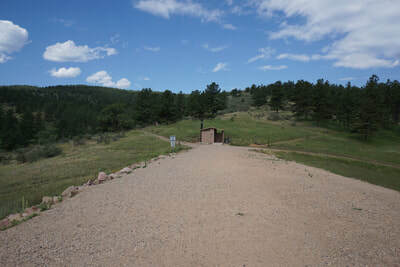 DIRECTIONS: From I-25, take the exit for CO-66 (Exit 243) and head west on CO-66. 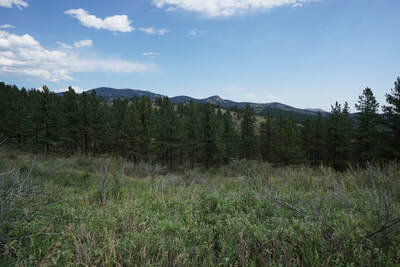 Turn right onto US-287 N/N 107ths Street. 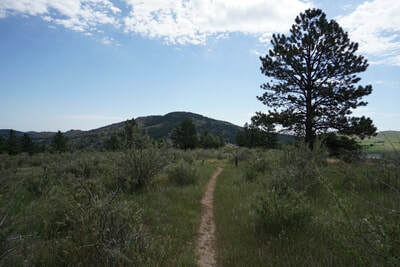 After about 7 miles, take S Co Rd 29 west to Co Rd 18E. 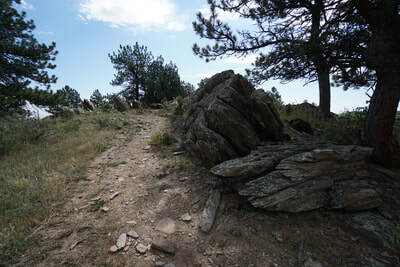 18E becomes Pole Hill Road. 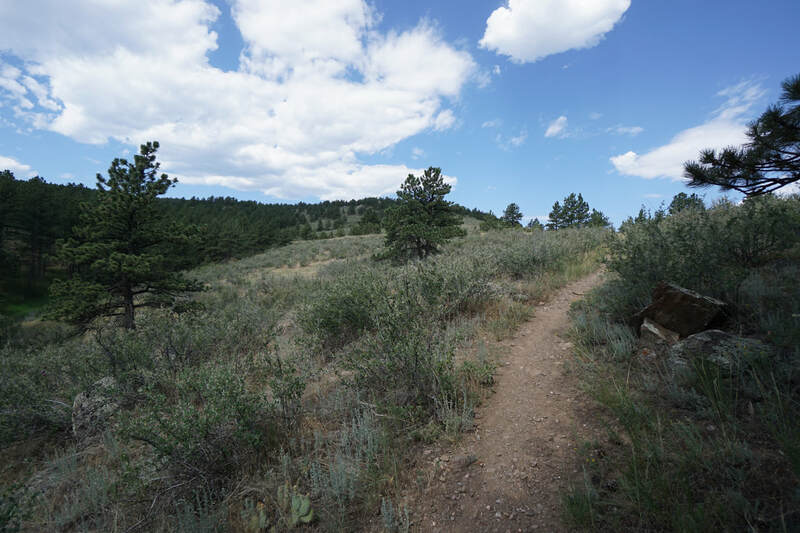 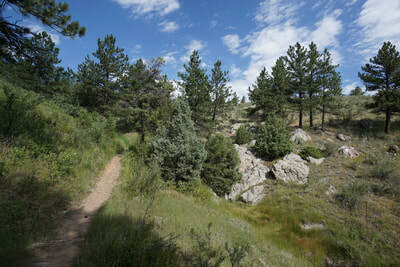 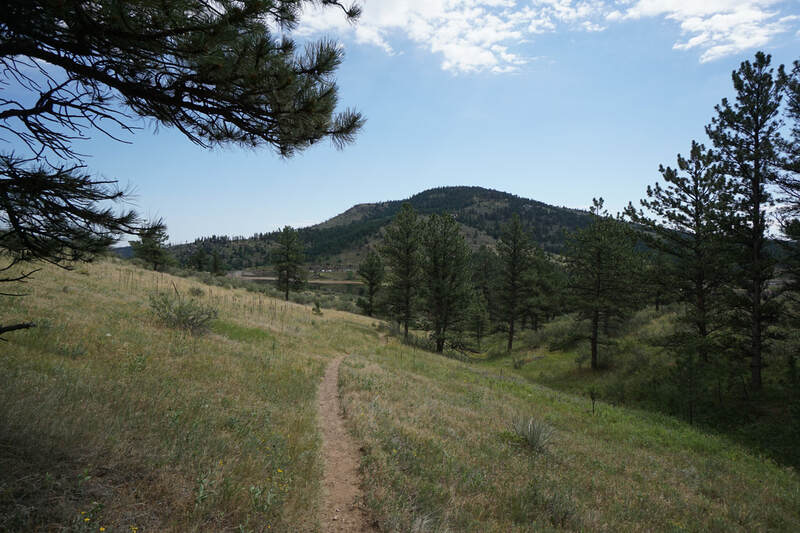 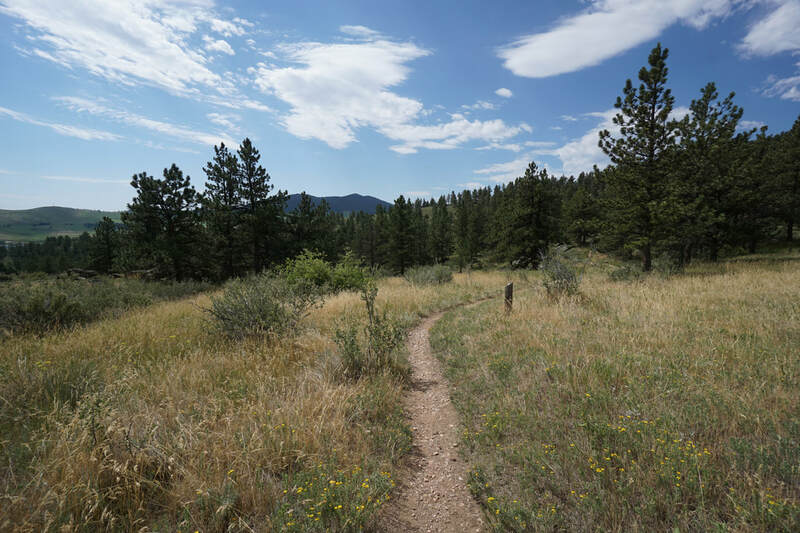 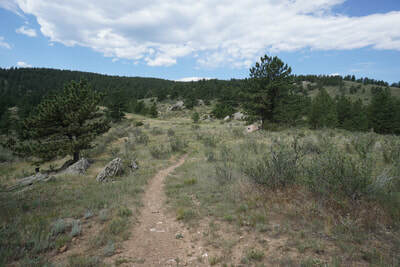 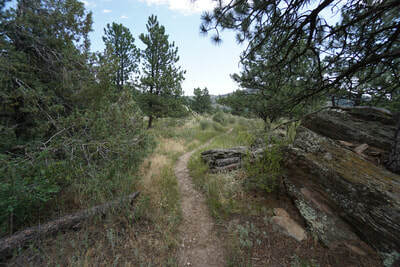 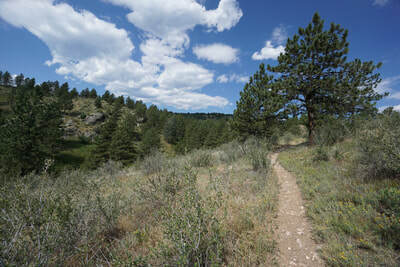 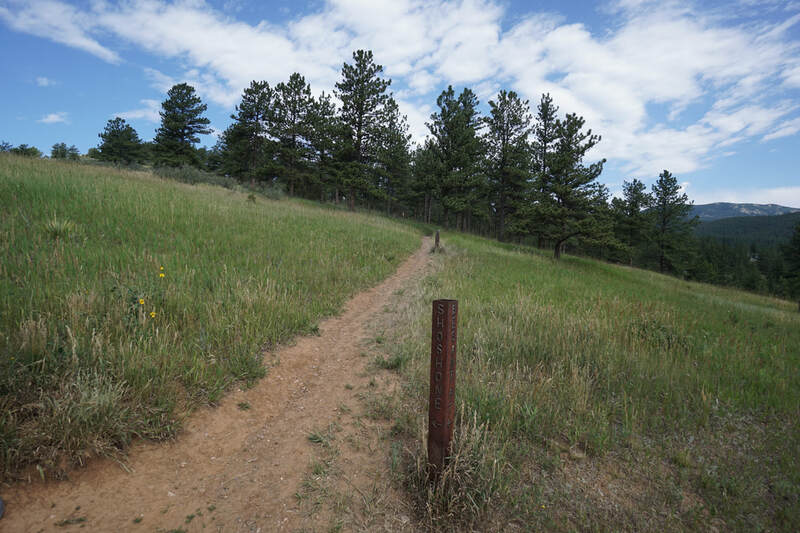 Follow Pole Hill Road to the park entrance and then follow signs to the Ramsay-Shockey Trailhead. 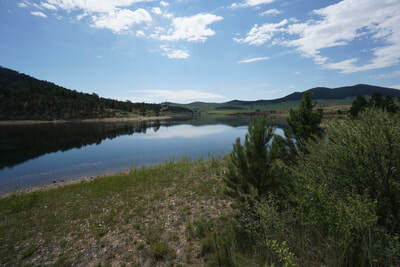 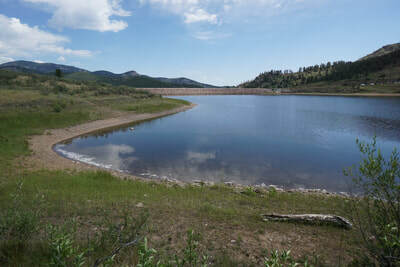 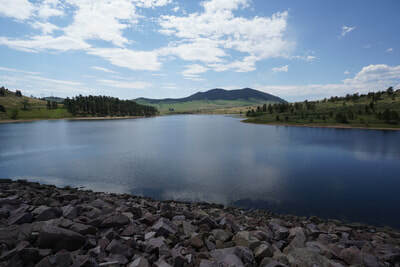 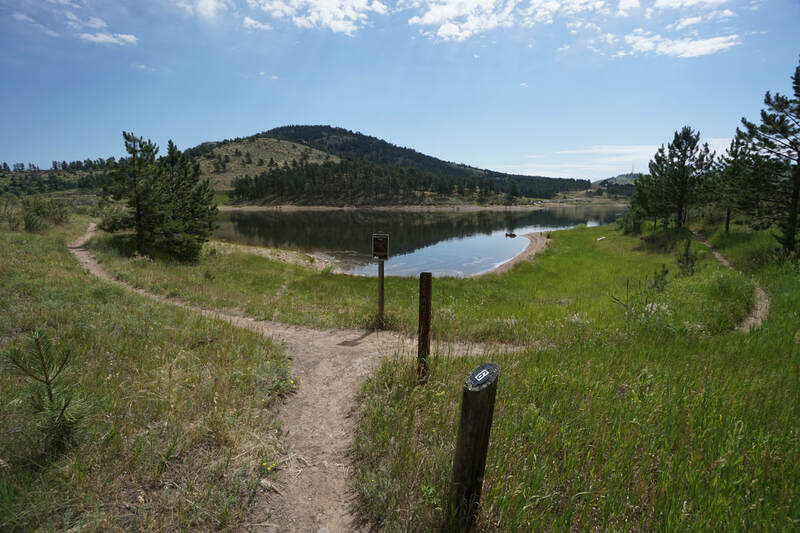 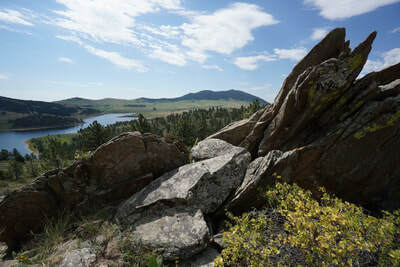 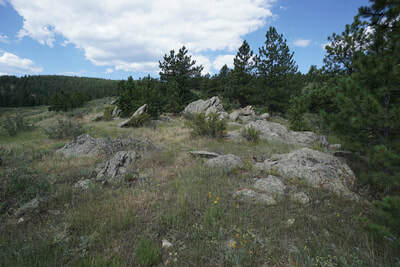 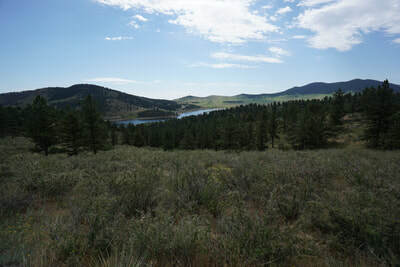 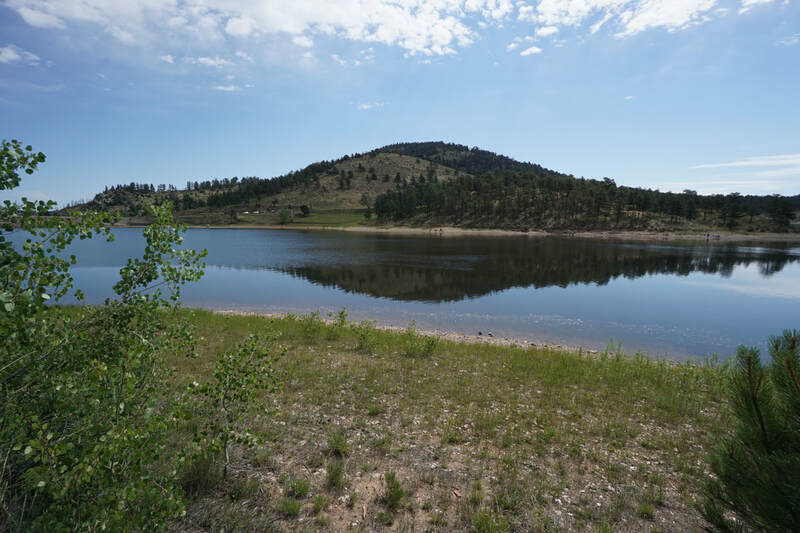 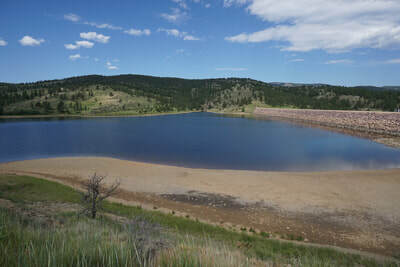 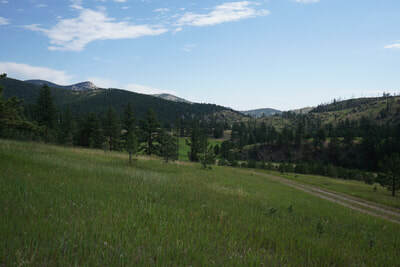 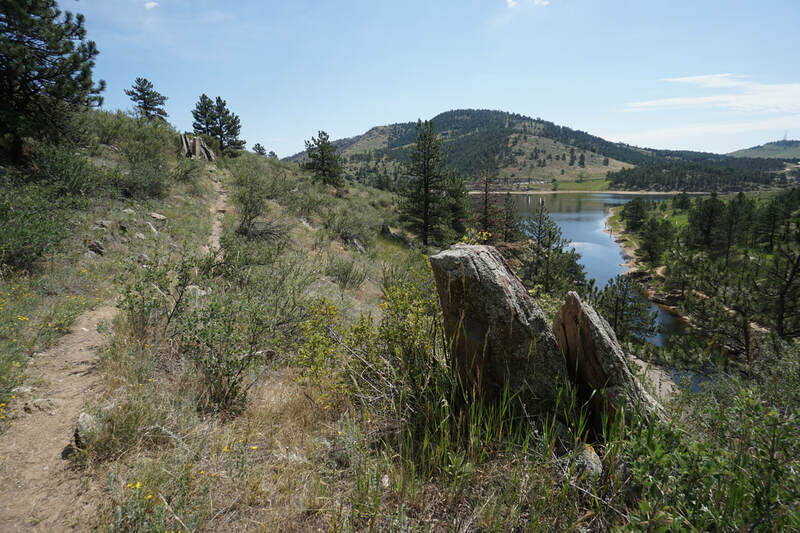 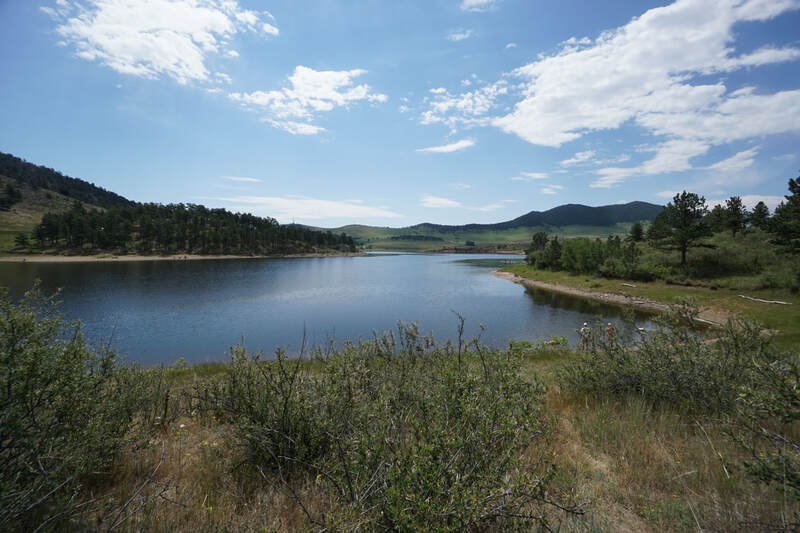 Ramsay-Shockey Open Space is part of the Larimer County open space system and connected to Pinewood Reservoir Park. 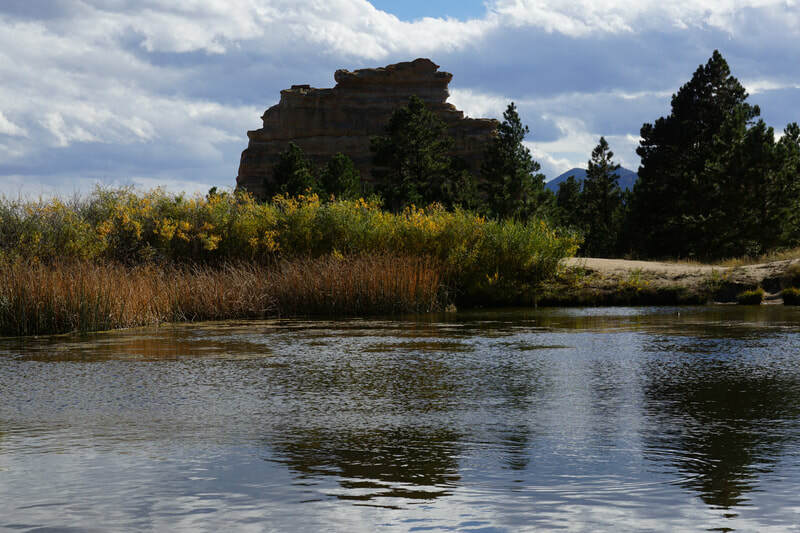 The Open Space consists of the Shoshone Loop Trail and the Besant Point Trail that circles Pinewood Reservoir. 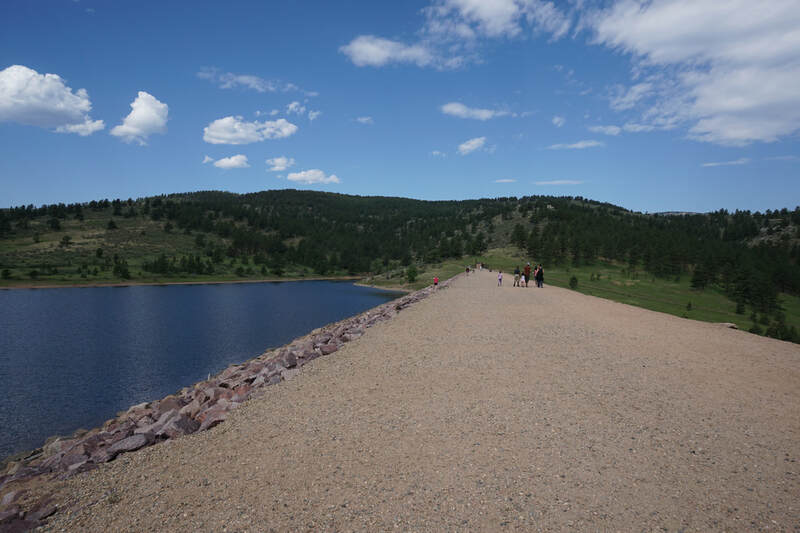 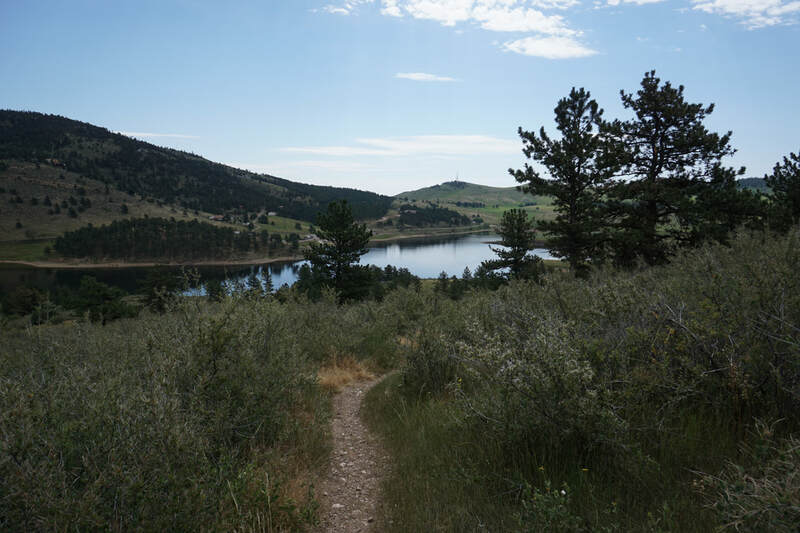 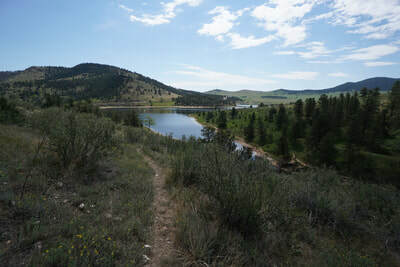 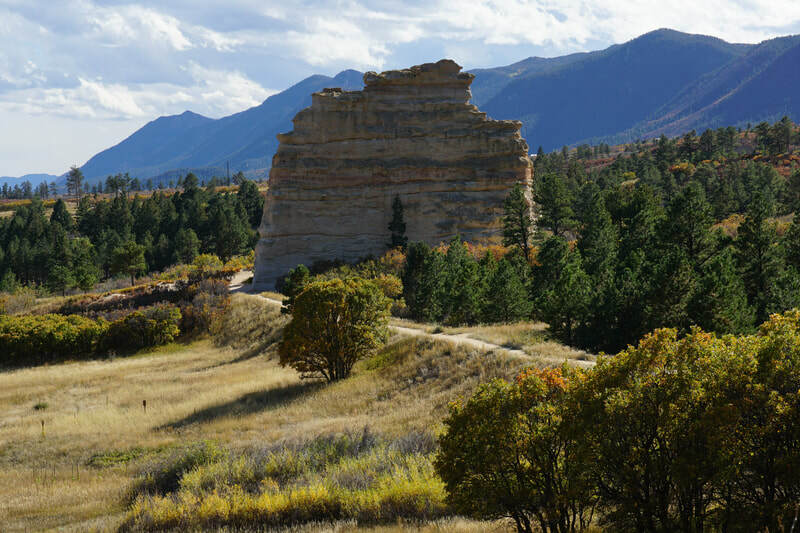 The Shoshone Loop is a shorter outing but climbs up the forested hills to give you a birds eye view of the reservoir and surrounding landscape. 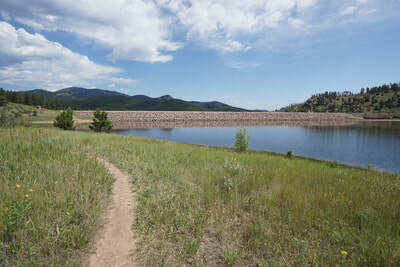 From the parking area on the eastern shore of the reservoir, the trail starts by crossing a wide dam with great views of the reservoir. 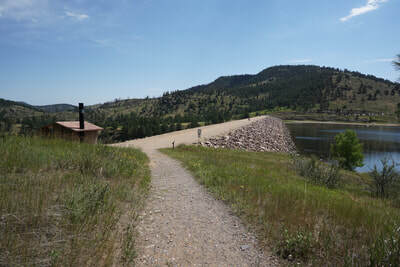 At the far side of the dam, the Besant Point Trail heads down to the shoreline while the Shoshone Trail climbs up into the forest. 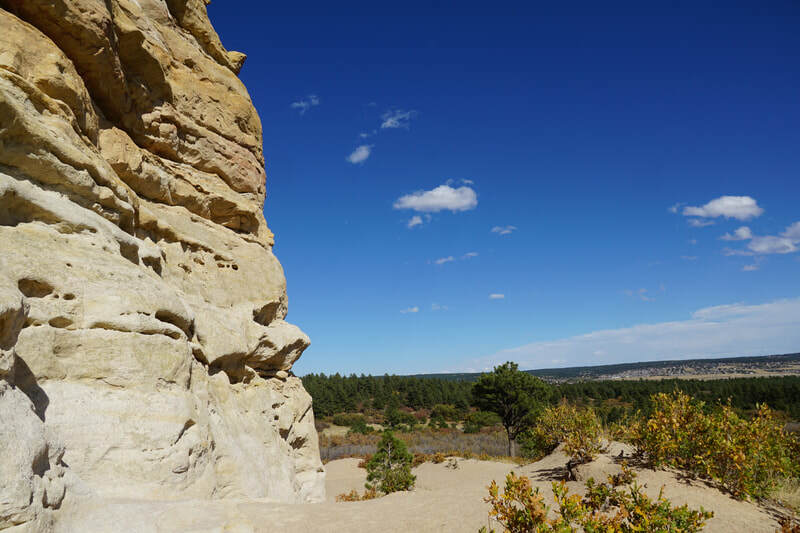 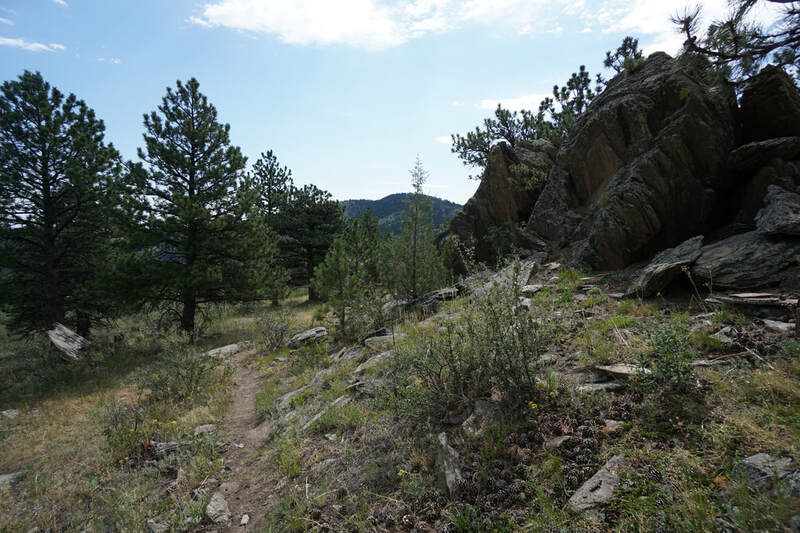 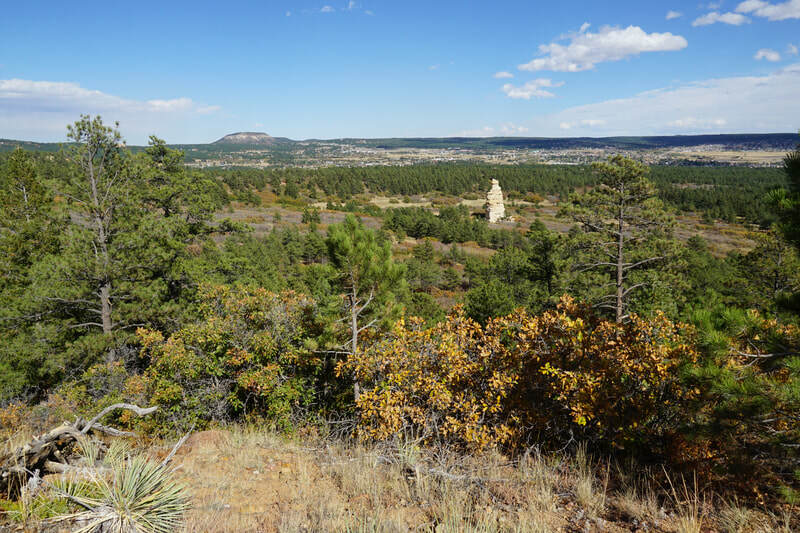 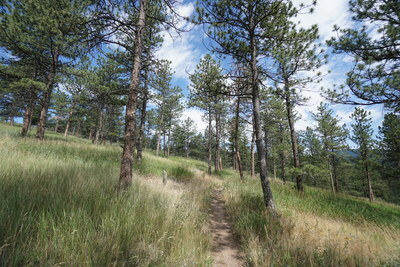 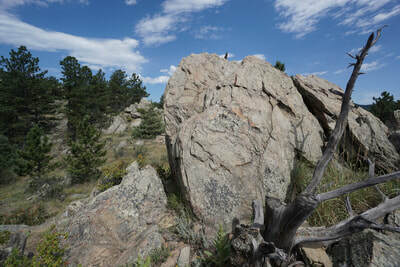 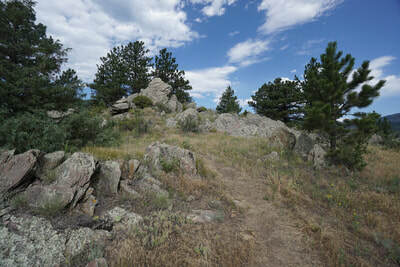 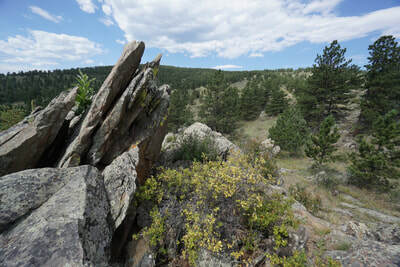 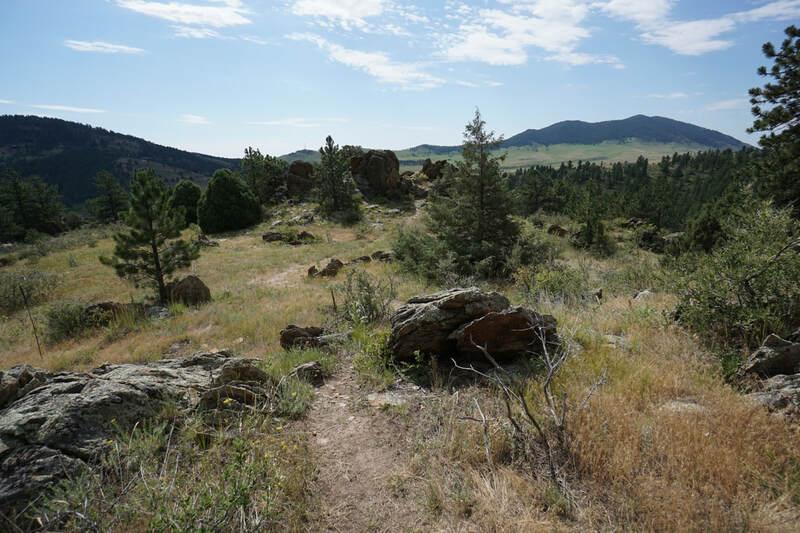 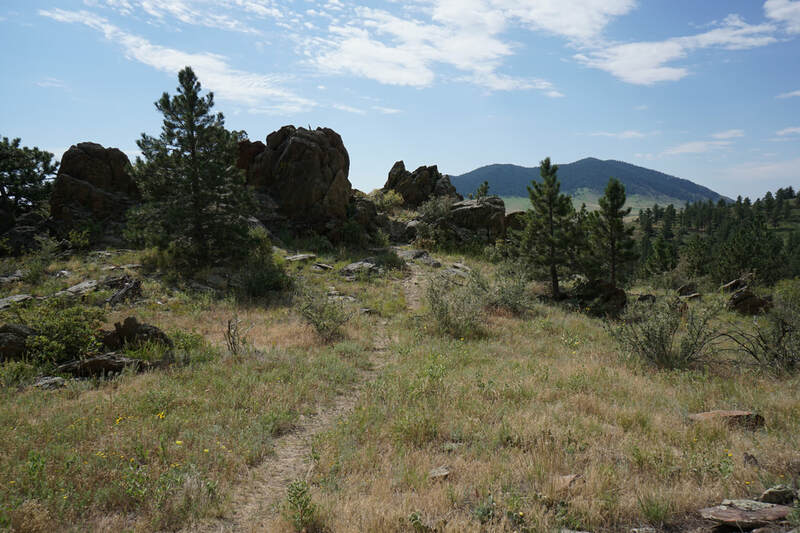 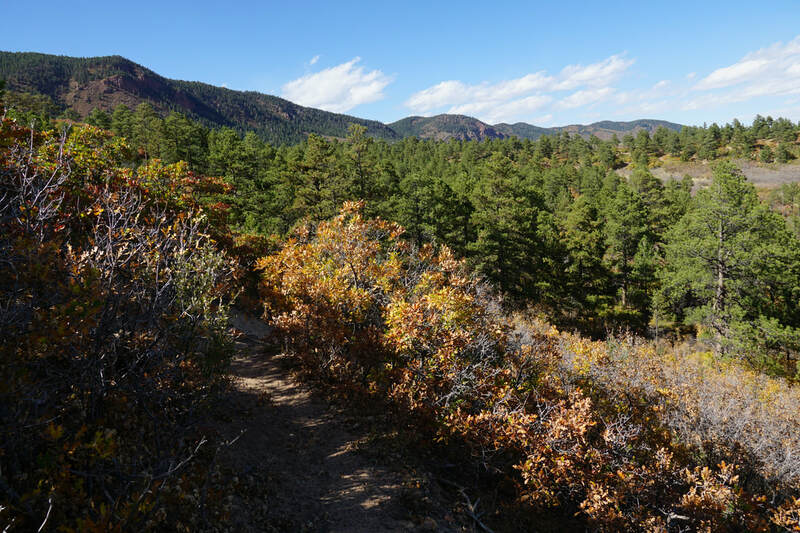 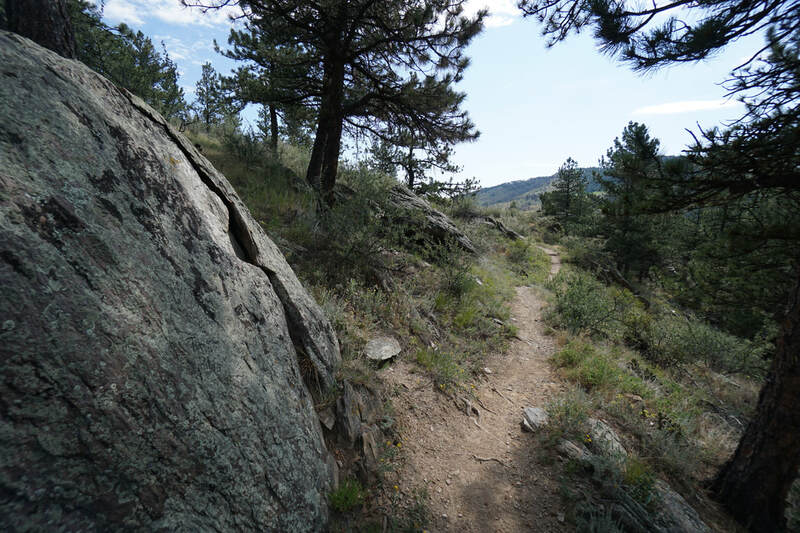 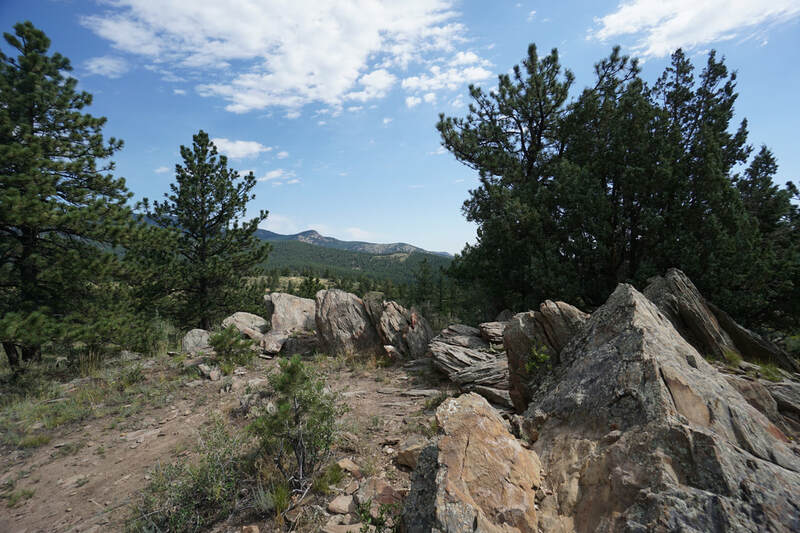 The trail gently climbs through the pine forest with plenty of rocky outcroppings along the way to enjoy the views. 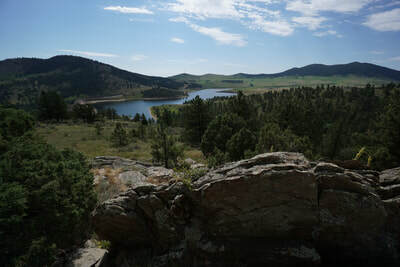 At just about the half-way point, there is an unmarked side trail that takes you out to a large rock outcropping with a wonderful viewpoint looking down on the reservoir. After making your way back to the main trail, continue on the loop. 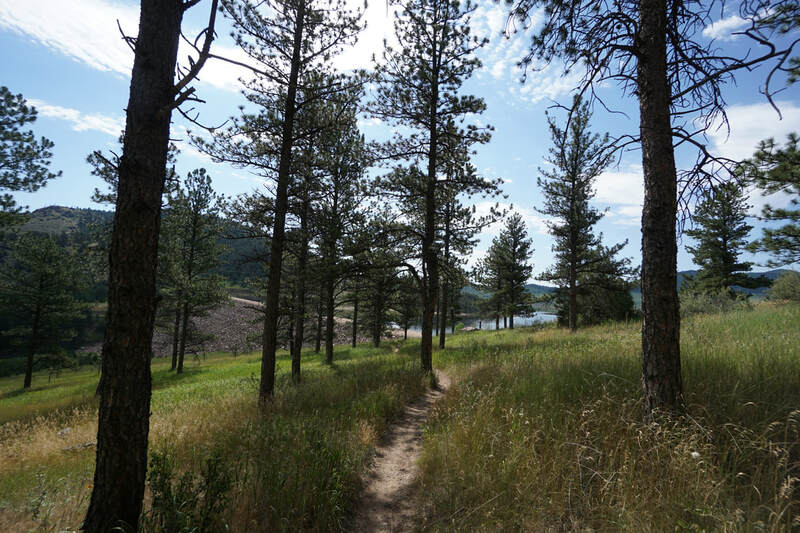 The next portion of the trail provides great views before descending down to the shoreline and meeting up with the Besant Point Trail. 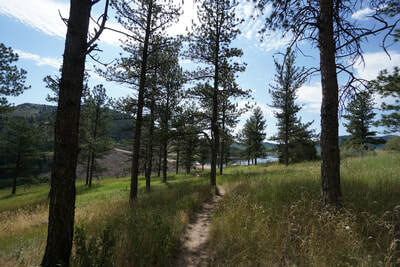 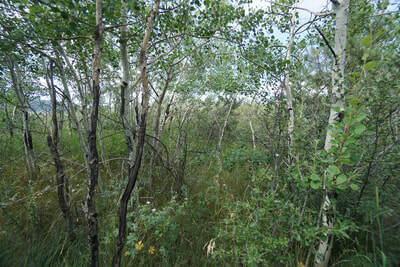 Turn left back towards the dam on the Besant Point Trail and follow the shoreline through some small aspen groves. 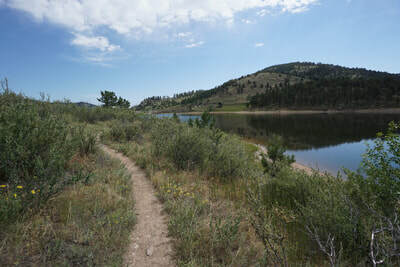 Just when you think the trail is leading straight back to the dam, it turns west and follows "Fisherman's Cove." 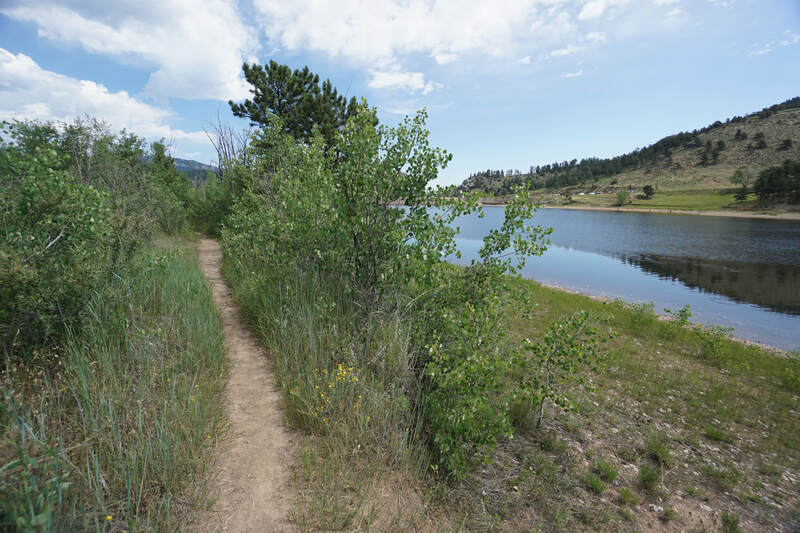 Here, you can either take the Fisherman's Cove Trail down to the shore, or stay on the Besant Point Trail as it climbs up the hillside on last time before descending down to the dam. 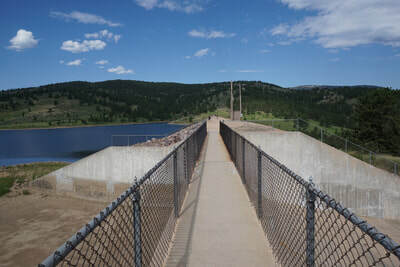 Re-cross the dam and return to the parking lot. 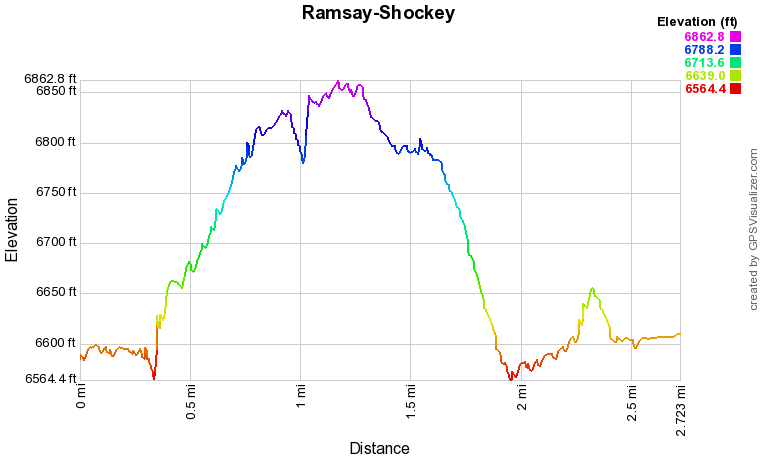 Ramsay-Shockey is nice, peaceful open space that see's few visitors, even on busy summer weekends. 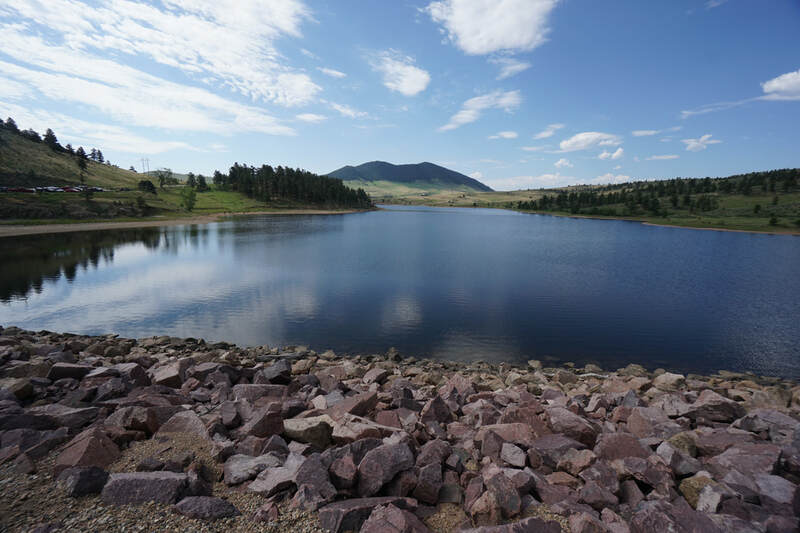 With the added bonus of a scenic reservoir, this park provides a nice alternative to the busier Carter Lake, just a few miles to the south.